I just realized that we could connect the ring rail being built in Darvincia with the already existing one built between Kaeshar and Revolutea. We could do that if Smj and Fiah want it, although Oasis City is very far south. I and Jorster have discussed a rail line to Jorsterton, and he'd like a station close to (1500 , -20) where the rails run along parallel to the x axis. 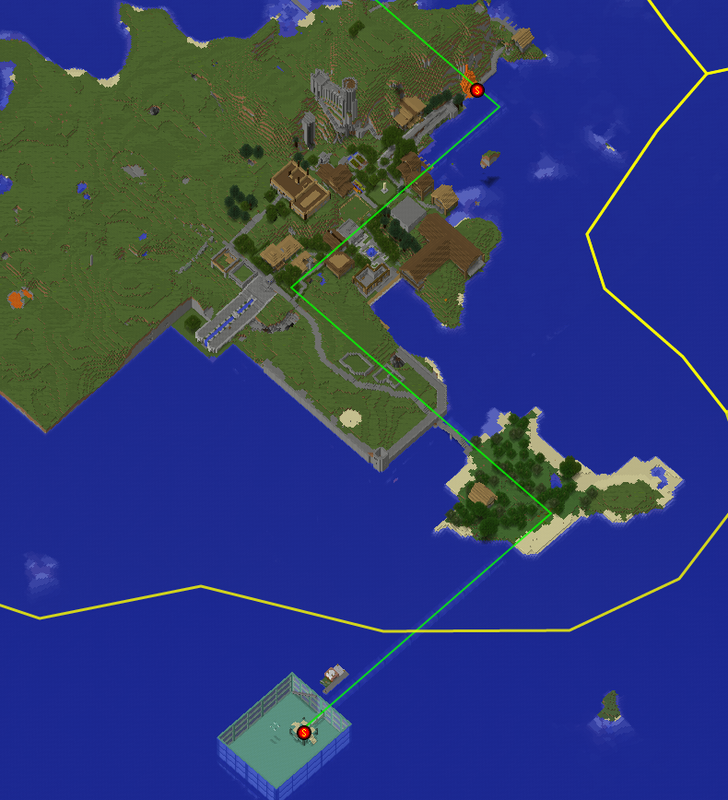 Since I've also thought about extending the rails from Blue Bay to Swamphold, I'll write the current plan down here. The length extension is 1450 meters. It should require approximately 1248 iron, 144 gold and 144 redstone torches. Spawntown will gladly provide the iron and redstone torches, but I'd like to start a poll for the 144 gold to be supplied by all UBSR regions. This is 6% of every member's collectively stored gold. Unless people have complaints, I will start a poll for this plan tomorrow. The poll was approved with 5 voting for and 0 against, so the line will be constructed. There's a problem: At the very end of the tunnel, there's an underground wheat farm at the altitude of the rails. Idk what to do about it or what Jorster wants, but I guess we can just construct the rails to there, and then redirect them slightly or something when he comes back. Which would be utilized in future designs, but where the old design may continue to exist (but it would be a goal to convert the older rails to the new standards over time, this could be done maybe by giving prizes to people who help convert the old rails or something). I like the 10, 30, 50... better because it will make the turns look symmetrical and nicer. 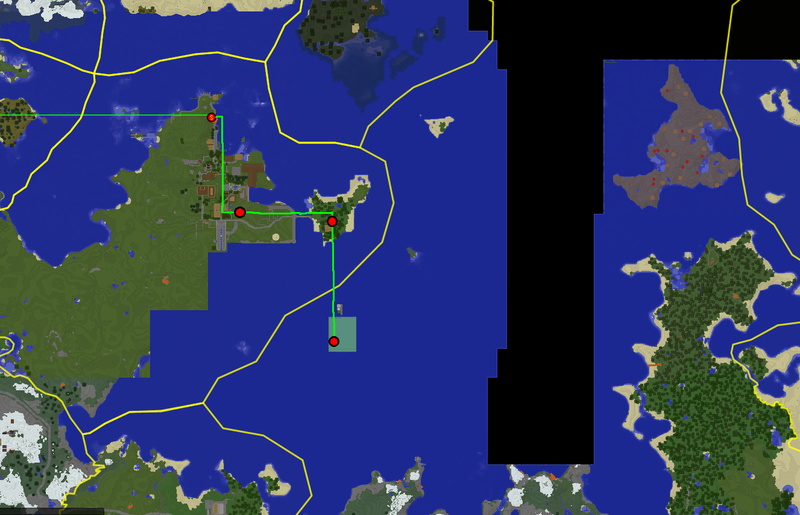 And construction of the line to Jorsterton is complete (see Dynmap). Suggested extension from Matolony to the new guardian farm, the extension starts from Matolony's station and is proposed to have 3 new stations along it. Matty approved the route on irc, except the two proposed stations in Matolony, as they were too close together and he thought one was enough. An option for rail route 3, if Darvince and Tuto are interested. Would probably wait with the extension to Republic of Conzy, maybe the Jorsterton rail would do better going in that direction instead. The station locations are just ideas.